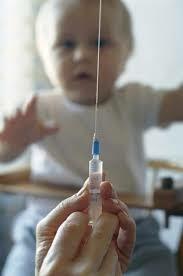 You are at:Home»HEALTH»VACCINES»Are Vaccines Safe?»Do You Really Know What’s In Vaccines? Do You Really Know What’s In Vaccines? As of March 2013, the Centers for Disease Control (CDC) declared that autism now affects 1 in 50 children in the United States — when my son was born in 2007 it was 1 in 90. Wow. If you or someone you know and love is having a child, you owe it to the child to educate yourself on the real story behind vaccines and the modern-day risks associated with injecting a baby with highly toxic materials. The immune system is capable of growing itself to support healthy bodies, especially if you live in America where we have regular access to clean water, (relatively) clean food and shelter. Vaccines are not a guarantee, nor are they the only answer. By the way, if you’ve already vaccinated your child and you are concerned about reversing the effects of vaccine toxins, have no fear: you can do a detox depending on the level of toxicity and/or symptoms your child may be experiencing. Food allergies is a good example, as they can often be in actuality a leaky gut and completely reversible. Chelation therapy is also a great way to detox the body of metals like mercury. The well-known pediatrician Dr. Sears has a list by state of modified vaccine friendly pediatricians and doctors, which is also a great way to find a natural health practitioner that can help you reverse vaccine symptoms. You can also email me here if you would like to know more.